During this Lebanon OH Rally, President Trump said he believes Republicans will win over black voters. Trump cited improved economic statistics for African-Americans and saying rapper Kanye West was “amazing” during his Oval Office visit this week. 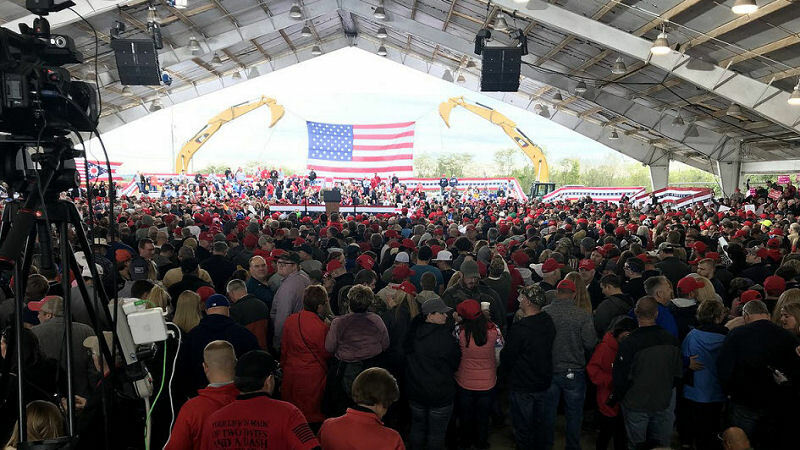 Another GREAT Trump Rally in Lebanon Ohio 10/12/18. Our president praised Kanye West and poked ‘Pocahontas’ Elizabeth Warren. We’re asking all African-American voters to honor us with their support this November 6th, Trump said during the rally. I never thought I’d say this, but God bless Kanye West, Ohio Rep. Steve Chabot, running for re-election, told the crowd. Unfortunately the liberal left is in a severe meltdown and has shamed Kanye West for being in a room full of white people. CNN Don Lemon keep poring on the racist abuse! President Trump’s pick for the GOP nomination for U.S. Senate, Rep. Jim Renacci, is in an uphill battle to unseat two-term U.S. Sen. Sherrod Brown.